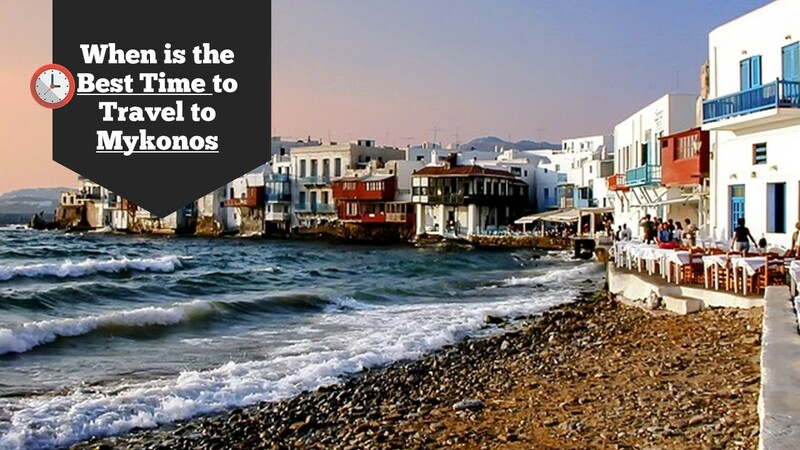 So you want to go to Mykonos and you ask yourself “When is the best time of the year to visit Mykonos?”. Mykonos has around 300.000 visitors arriving by plane to the island every year from April to October and many more arriving by ferry. So, here is a monthly guide of what you can expect in Mykonos and when you should visit it. 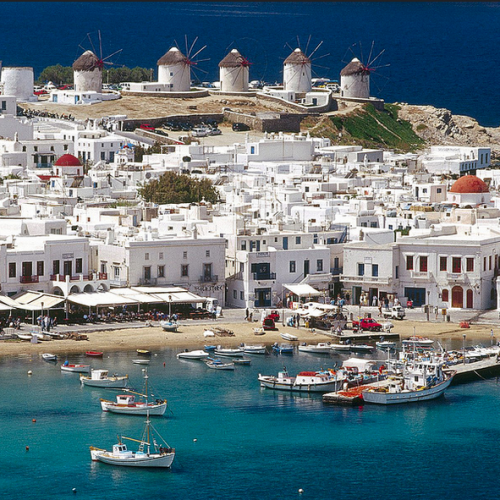 Overall best time to travel to Mykonos, Greece: The best period to enjoy Mykonos is from June to September. Best Time to Enjoy The Sun and Swimming at the Sea: July, August, and September. 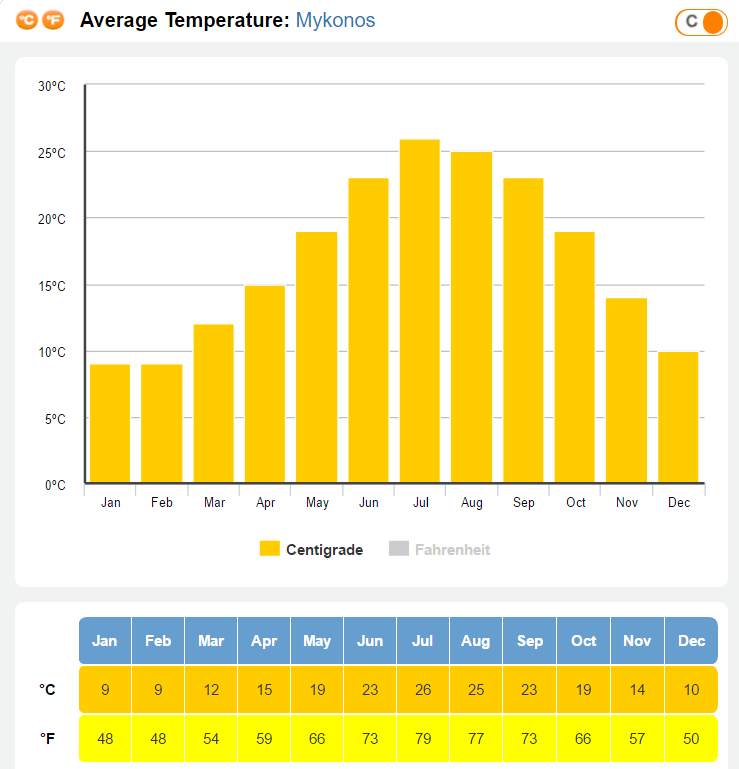 The hottest months in Mykonos are July (26 C average temperature) and August (25 C average temperature). The sea starts to warm up at the beginning of July and is at its warmest level during August. The most sunlight is during July when the sun goes down at 21:00 and then the day starts to become smaller. 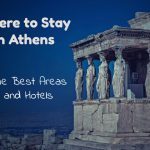 Best Time to Visit Mykonos on a Low Budget: May and October are the two months that you can find the lowest prices at hotels and services in Mykonos. For example, an average double hotel room that can be found for 120 euros per day during July and August, could be booked for 60 to 70 euros per day in May and October. Best Time to Visit Mykonos for the Nightlife: August is the best month to enjoy the nightlife in Mykonos. 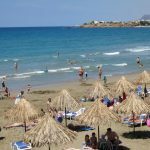 All the clubs, bars are open and there are many happenings taking place, like popular Greek singers such as Antonis Remos, giving concerts on the beach (especially at Nammos beach bar in Psarou, have a look here). In August, Mykonos is full with people so all the places are packed and everyone is in the happy mood of the summer. 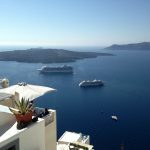 Best Time to Visit Mykonos for Gay-Friendly Life: September is the month that most gay-friendly couples visit Mykonos, although the island is well-known for being open minded during the past 40 years and accepting with love everyone during all months, no matter what their sexual preferences are. November to March: Avoid visiting Mykonos in November, December, January, February and March. There are several reasons for that; The sea is too cold and you cannot swim. There are only a few locals to the island and most shops are closed. Although it doesn’t rain often, the weather is around 10 degrees which mean it’s cold and there are strong winds in Mykonos, so you will not enjoy being out. How is Mykonos in April: During April, the sea is also cold and you cannot swim. However, if the Easter holidays fall on April, during the Easter week, there are quite many Athenians that flee to the island to enjoy the Easter time there, especially if the weather is good. Expect a temperature of around 18 degrees. The prices are low, most shops are starting to open in April and it’s not the best month to visit Mykonos. According to the stats of the Greek Tourism office, there are around 3.000 visitors arriving at the island with an airplane during April (compare this to the 50.000 visitors of June). How is Mykonos in May: On May, the weather gets better and sometimes it gets crazy, e.g. this May, Mykonos expects temperatures of up to 36 degrees! This is not normal of course and usually, the temperature is around 25 degrees. The sea remains cold but with a little bit of courage, you can swim. You will enjoy it staying on the beach but don’t expect a lot of people and fun during May. It might be a good idea to spend a long weekend here if you are visiting Athens and you want to go to a greek island. The prices are usually quite lower than June, July, and August. How is Mykonos in June: June is a nice month to visit Mykonos. Especially during the Holy Spirit long holidays in Greece (it falls somewhere on June every year), when a lot of people are visiting Mykonos for a short break. The prices of the hotels start to go up and most of the shops are open. The day becomes bigger and you can expect light until 8 o’clock in the evening. There are at least50.000 tourists coming with a plane to Mykonos during June. How is Mykonos in July: July and September are the two best months to visit Mykonos. The prices until the 20th of July are not as high as during August and there are many people but not as many as during August. You can swim, even though the sea is not as warm as during August. How is Mykonos in August: August is the busiest month of Mykonos. 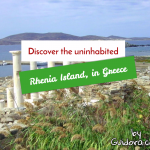 The Greeks use to go on vacation from the 1st to the 20th of August and the island is packed with locals and tourists. The parties are full speed, all the spots are open. On the other side, you will experience a lot of traffic and you will lose time going to the beaches due to the traffic jams on the small roads of the island. E.g., what should normally take you 15 minutes to get you from the town of Mykonos to the beach, could take up to 35 minutes now. The prices are the highest of all year and you should pre-book well in advance. Don’t just drop to the island during August and expect to find a decent place at a decent price. The sea is at its warmest level and you will enjoy swimming. How is Mykonos in September: September is a nice month to visit Mykonos. The sea is still warm, the prices are lower than August and still, there are a lot of people, especially until the 15th of September. The daylight lasts until 7:30 and you will certainly enjoy being in a less crowded island than in August. Of course, if you are going to Mykonos for partying as hard as possible you should go during August. How is Mykonos in October: October is the last touristic month for Mykonos. The weather gets colder and the sea gets colder too. Shops are starting to close and don’t expect a lot of crowds and parties on the island. 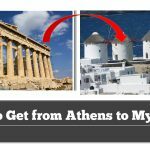 Again, it would be a good choice for a long weekend if you are visiting Athens.